Valcambi SA, based in Switzerland, is one of the world’s leading gold, silver and platinum refineries. This 165-person firm refines 2,000 tons of precious metals each year. Throughout the company’s 50+ year history, it has solely focused on the business of refining and minting precious metals products. It is best known for its bars, especially the firm’s innovative CombiBar™ line. Divisible bullion products can be easily split into smaller units for potential exchange, barter, spending, gifting or storage. They take one of two forms: either a single bar/sheet is scored for easy potential division—or the smaller units are pre-divided and packaged individually. 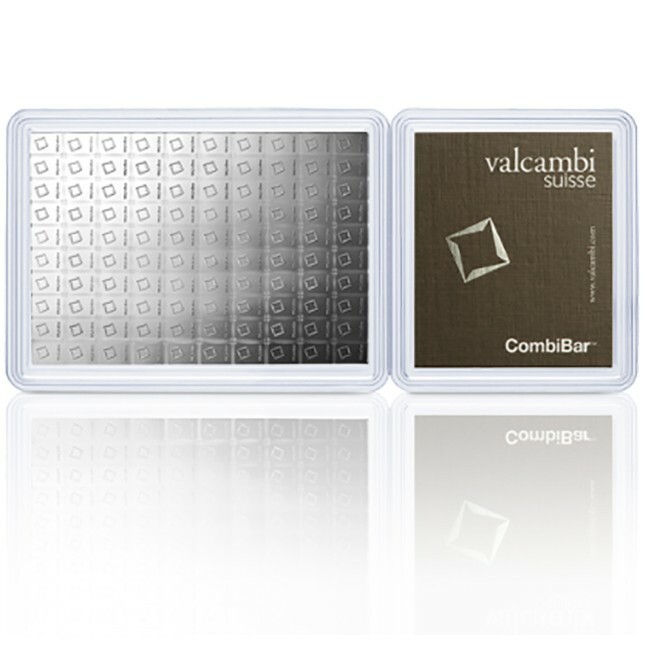 Some of the most popular examples are the Valcambi gold/silver CombiBars™ and the Royal Canadian Mint Maplegrams.